GREAT CULDESAC LOCATION !! THIS 3 BEDROOM 2 BATH HOME HAS LARGE ROOMS, A GREAT KITCHEN WITH MANY OAK CABINETS, A SNACK BAR, 2 PANTRY'S, DINING TABLE AREA, LARGE LIVING ROOM WITH COFFERED CEILINGS, SPLIT BEDROOM PLAN, MASTER BEDROOM HAS WALK IN CLOSET, WALK IN SHOWER. LARGE LAUNDRY ROOM WITH SINK, A GREAT COUNTRY STYLE FRONT PORCH. VERY LARGE GARAGE, NICE COVERED REAR PORCH. BRICK & VINYL EXTERIOR. 1987 SQ FT OF LIVING SPACE. 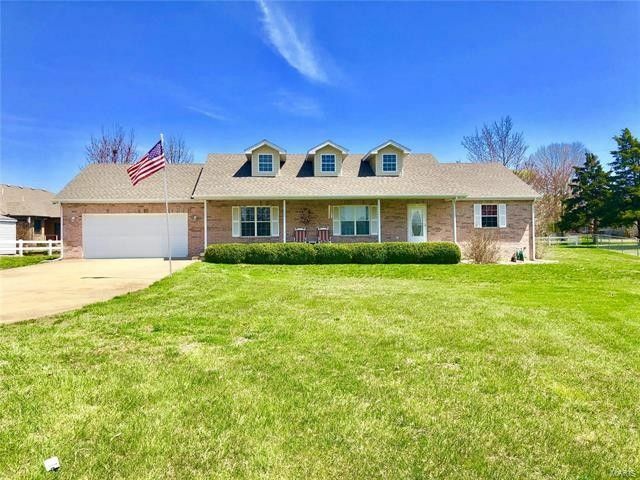 EASY ACCESS TO I-44 THIS HOME IS PRICED TO SELL ! !